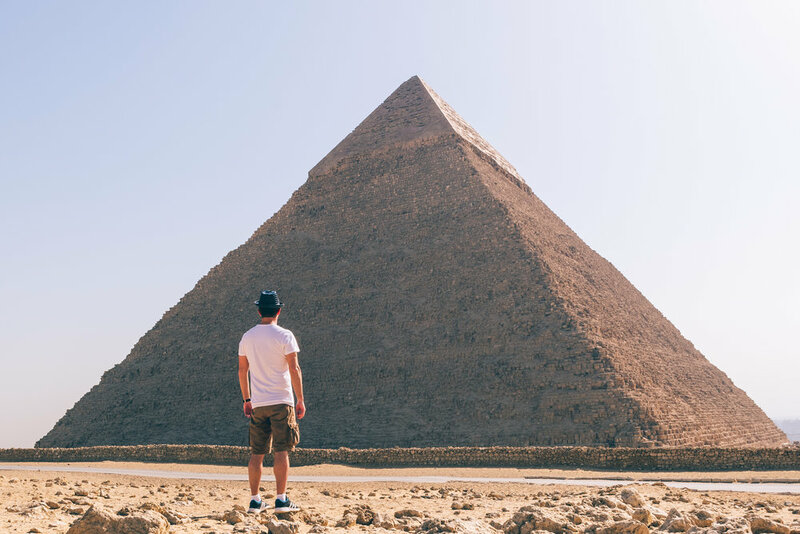 Egypt was a childhood dream! Head full of images, whether from my first visit to the Louvre when I was 8 years old, or movies, TV documentaries, books. So a big thanks to Egyptair France whom offered me the opportunity to discover a part of this fabulous country, with their direct and daily lines between Paris and Cairo aboard a magnificent Boeing 777. EGYPTAIR is one of the oldest airlines on the international scene. Established in 1932, it became the seventh largest airline in the world. On July 17, 2008, EGYPTAIR joined the Star Alliance network, the largest airline alliance in the world, to provide its customers with better connecting flights and more enjoyable travel conditions. EGYPTAIR's membership in the Star Alliance network is unique as it is the only airline based in North Africa and in the Middle East to be part of the network. Barely a 4H30 flight, a very correct service on board, no jetlag from Paris, and here I am, arrived in Cairo! To be honest as soon as we arrived we immediately felt like we were on another planet, especially during the passage to immigration where everything was a bit chaotic. Luckily everything went fast, good point is that it had for effect to put me immediately in the bath! 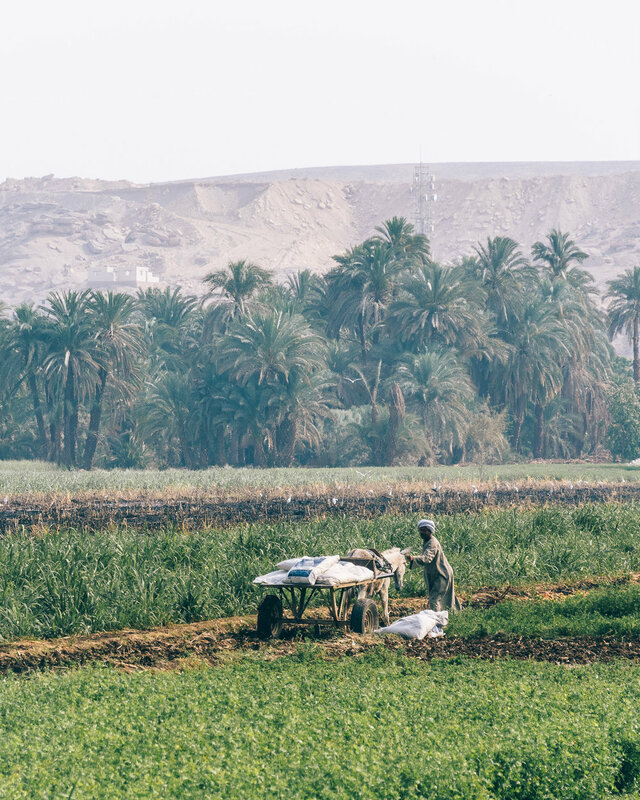 Egypt may not the most organized country in the world, but it has so much to offer! Whether it's because of its culture, its history or its human connections, I immediately fell in love with this country! There is an attack in Paris, they talk about an attack in Paris, not in France. There is an attack on the Sinai, they talk about an attack in Egypt! Except that Egypt is twice the size of France, and our brain records media informations that makes our subconscious think that all of Egypt is dangerous when it’s really not the case. But I digress. Ready for the adventure ?! After arriving at my hotel around midnight, just enough time for a quick rest and my adventure begins around 4am, direction Giza for the sunrise facing the pyramids and the Sphinx! I was so excited, I have seen many times in photos, videos, but it's nothing compared to the show was awaiting me in real life! It was incredible ! We felt so small compared to the size of these monuments but also to their stories, and we are talking here about 4500 years of history! The only negative point that I can emphasize is about all the street vendors, and acolytes absolutely seeking to sell everything and anything to tourists, they are very insistent and personally I think it’s a shame for the image of the country compared to tourism. 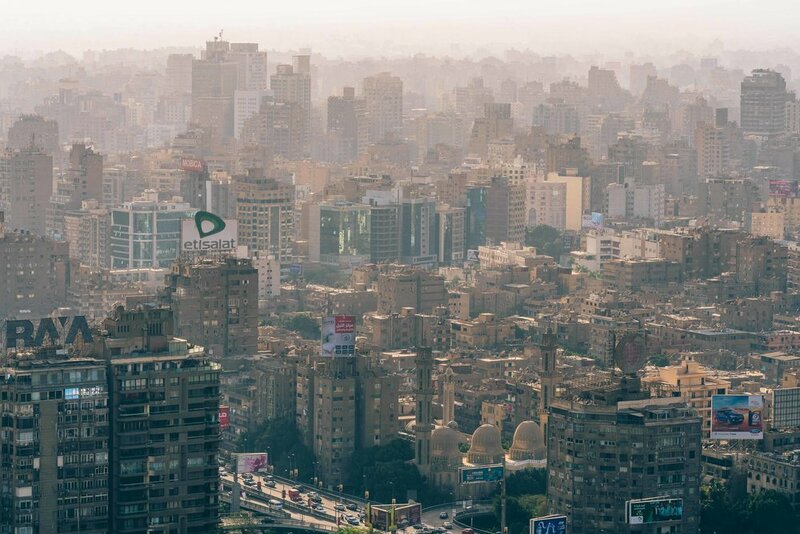 After a few hours contemplating these wonders, it's time to discover Cairo, the largest African capital with a population over 20 million of people. The traffic is dense, the city too, but what a wonder! 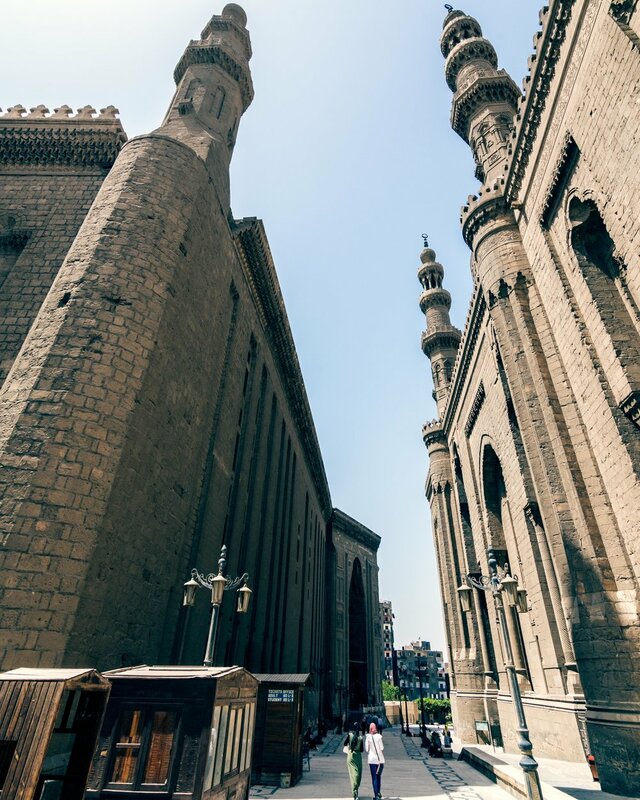 Especially the old Cairo, filled with history, the streets and multiple mosques are more beautiful the one than the others. At nightfall, I head back to the airport, next stop: Luxor. After a one-hour flight with EgyptAir, my eyes are full of stars, my childhood dream is becoming true! This second day was also magical, it started with an early sunrise to go to the temple of Karnak. 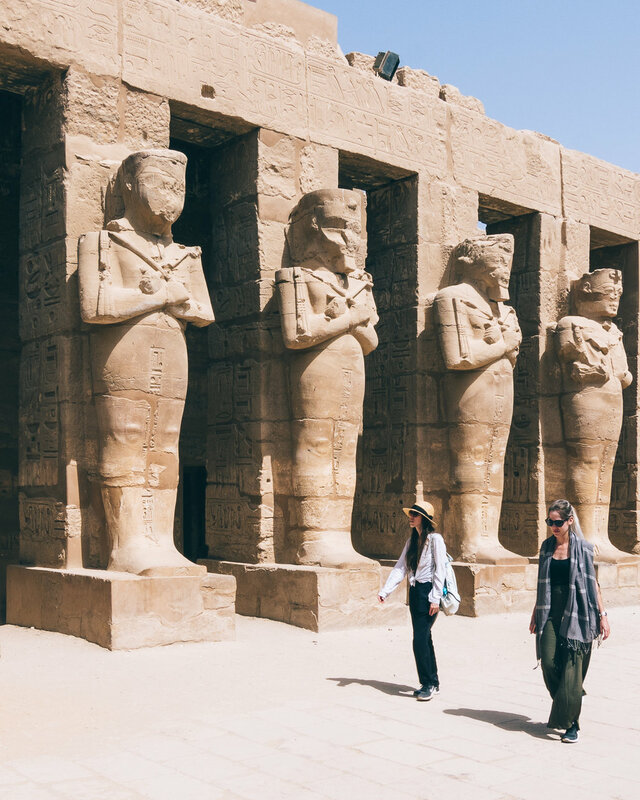 The Karnak complex was reconstructed and developed over 2,000 years by successive pharaons, from Sesostris I to the Middle Kingdom in the Ptolemaic period, extended over two square kilometers and is composed of three enclosures. It is the largest religious complex of all antiquity. The most important temple of the eighteenth dynasty, it was dedicated to the Theban triad led by the god Amon-Re. The complex was connected to the Luxor Temple by a sphinx alley nearly three kilometers long. Tourist site, it is classified in world inheritance of UNESCO since 1979. Then at night, head to Luxor Temple. Even more magical at night, more mysterious. And for me, as a Parisian, it was also an opportunity to see the empty location of the obelisk offered by Egypt to France, which I see every day when I'm in Paris. Priceless! I attack this 3rd day at Habu Temple, the temple of millions of years of Ramses III. The temple, one hundred and fifty meters long, has a very common design, close to the funerary temple of his predecessor, Ramses II. Indeed Ramses III sought to restore the greatness of Egypt of his illustrious ancestor. Upon his accession to the throne he undertook to build his Jubilee temple which will remain one of the largest of the necropolis of Thebes. Then we continue with the visit Deir El-Bahari, The Tombs of the Nobles, and the Valley of the Kings (It's hard to take photos there). After than, we came back on the boat Dahabiya Rois, from the company Voyages de Pharaon (click here to see my previous articles on this beautiful company), and we casted off the moorings on the way down the Nile. The first stop was El-Kab for a night, facing this fabulous sunset! 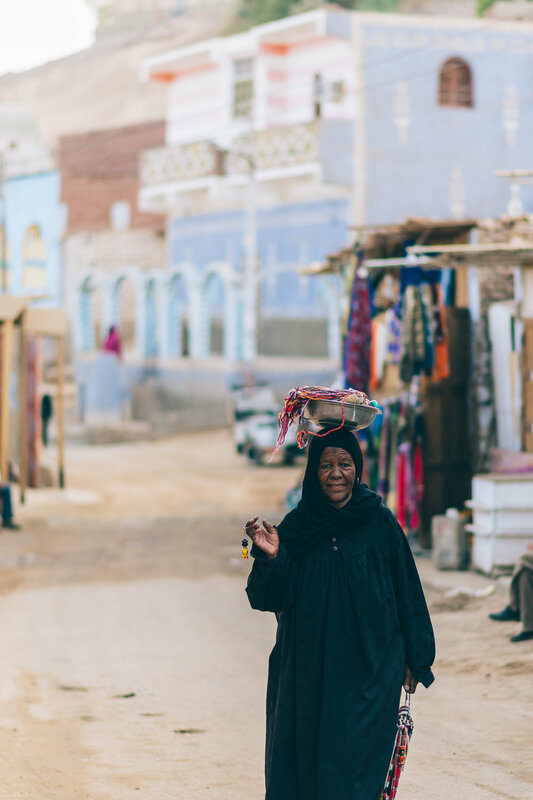 Day 4 started with a short morning walk in El-Kab, for the pleasure of meeting its inhabitants far from any modern civilization. The kind of ride that puts ideas back in place when we are easily lost without our cellphone nowadays! 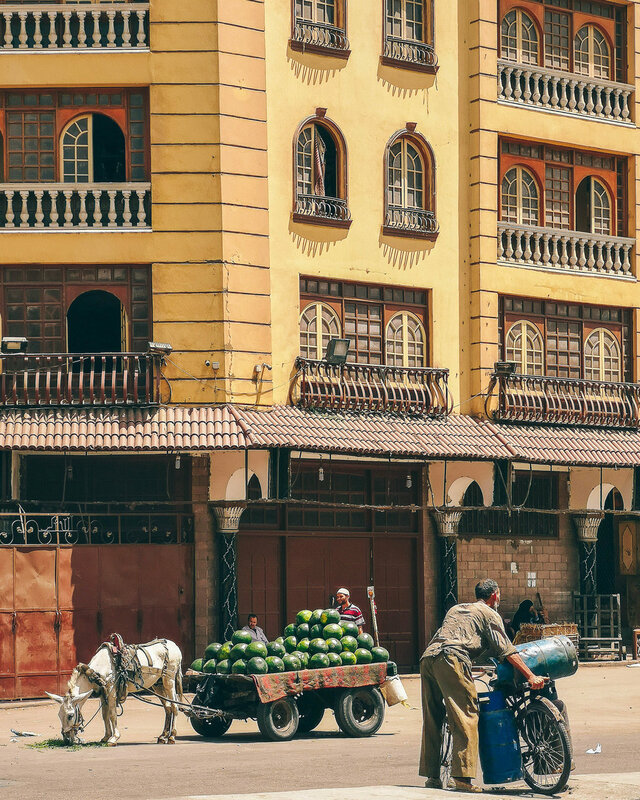 Then head to Edfu Temple! The temple of Horus (the falcon god) is located in Edfu (Behdet, Apollinopolis) on the left bank of the Nile between Aswan and Luxor, 105 km south of the latter. Dedicated to the worship of Horus, he is the largest temple of the dynasty ptolémées and the second sanctuary the most important to Egypt after Karnak. 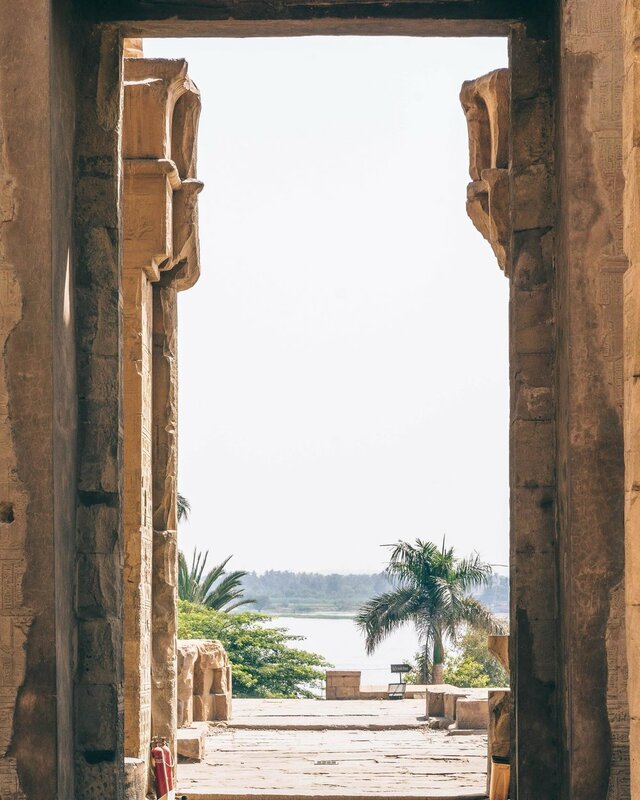 Built between -237 and -57, it is one of the temples best preserved of Egypt. Day 5, new day new Temple! Let's go to Kom Ombo! The Temple of Sobek and Haroëris located in Kom Ombo, the former noubit, is the Temple dedicated to worship gods Sobek and Haroëris. Partially ruined (part of the Temple collapsed in the Nile), it is currently the only vestige visible. Unusual fact, he was dedicated to the worship of two deities revered on equal: Haroëris, the God to head Hawk and Sobek, the God crocodile. That is why it is called the "Temple to both gods." The Temple whole is separated into two parts, that of the North, devoted to Haroéris and the South Sobek. Direction the Nubia, I escaped the boat to explore a small village which i don’t remember the name, but it was beautiful! 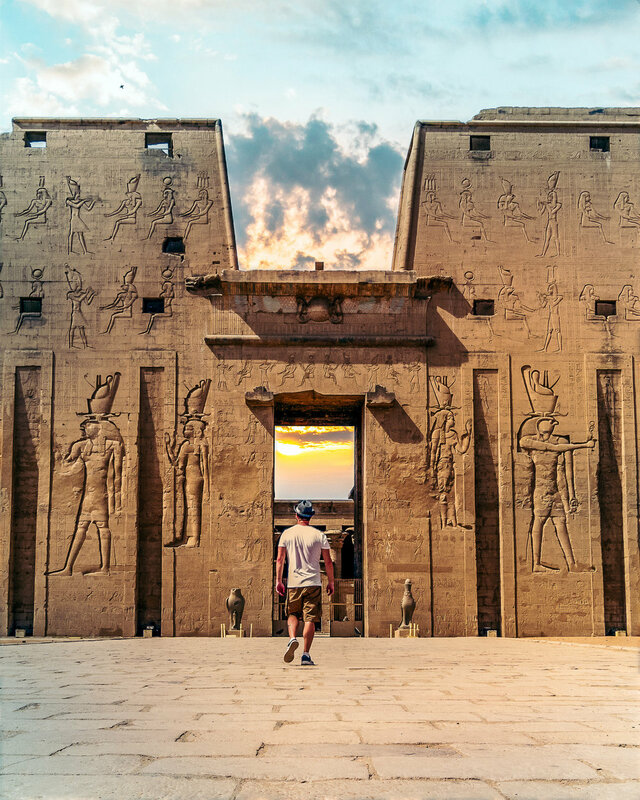 On the 6th day, it is time to go visit the Temple of the Island of Philae. Until 1974, it contained the ruins of temples and a city ancient Egyptian. 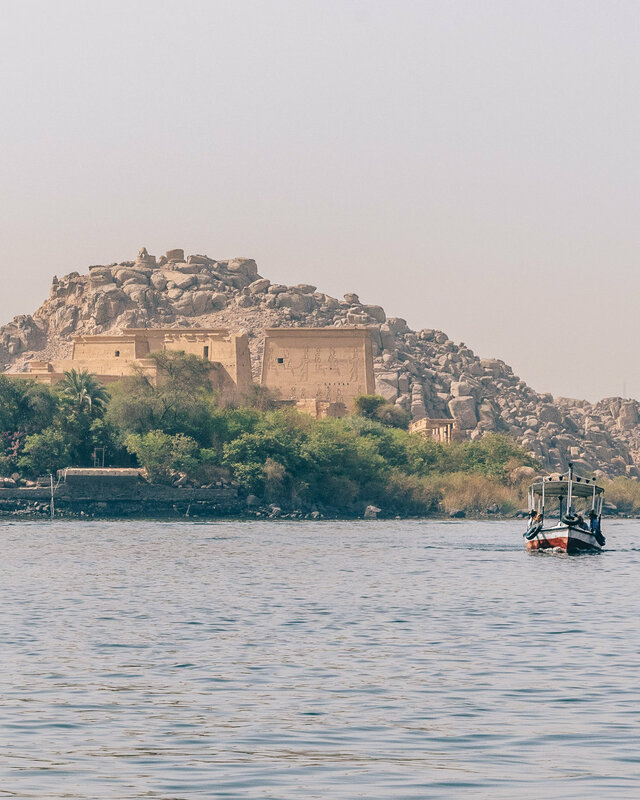 Already degraded by several decades immersion seasonal under the waters of the Lake holding the former dam Aswan and threatened a sinking final with commissioning of high dam assouanen 1970, temples were displaced and reassembled between 1974 and 1976 the neighboring Island of Aguilkia which was remodeled for the occasion. Since the operation, only the highlight of the former Island Philæ emerges from the Lake in the form of a rock. Philæ was a city ancient Egyptian of the first Nome high-Egypt, the Nome 'the countries of the arc (or country Nubia). 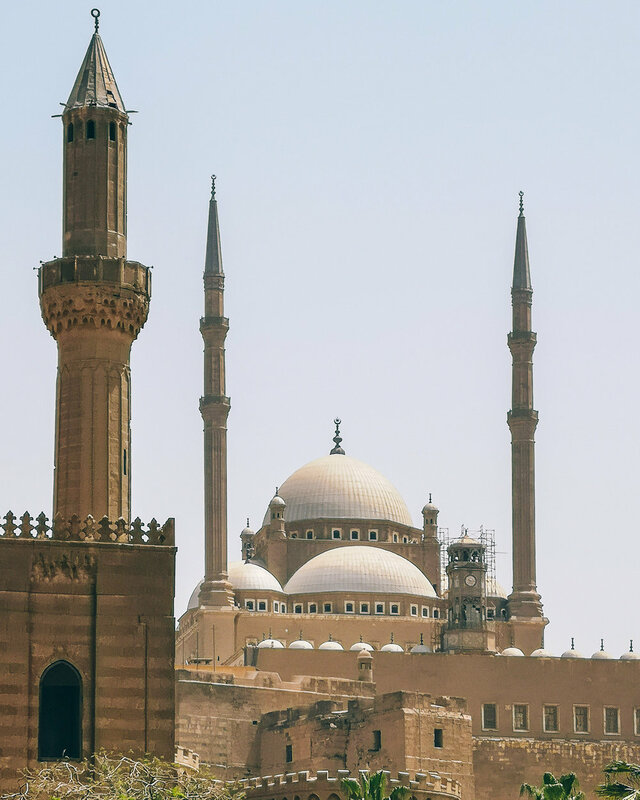 It housed a Temple of Isis, one of the best kept of the ancient Egypt, including the construction was started by one of the last Pharaohs Egyptians, Nectanebo I, and completed by the Romans. 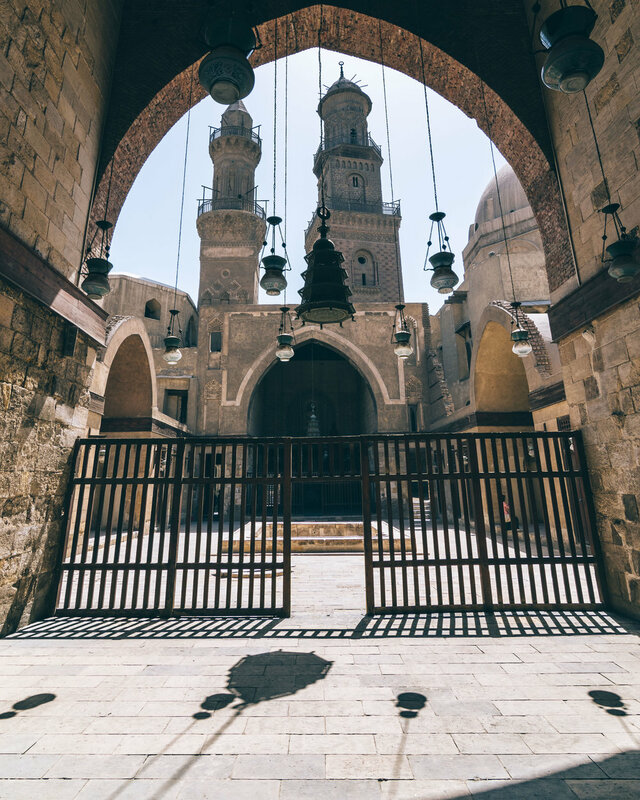 The Temple remained dedicated to the worship of the goddess and was attended by blemmyes, a tribe Nubian, until the mid-life century when it was transformed in Church Coptic on order of the Emperor justinian. 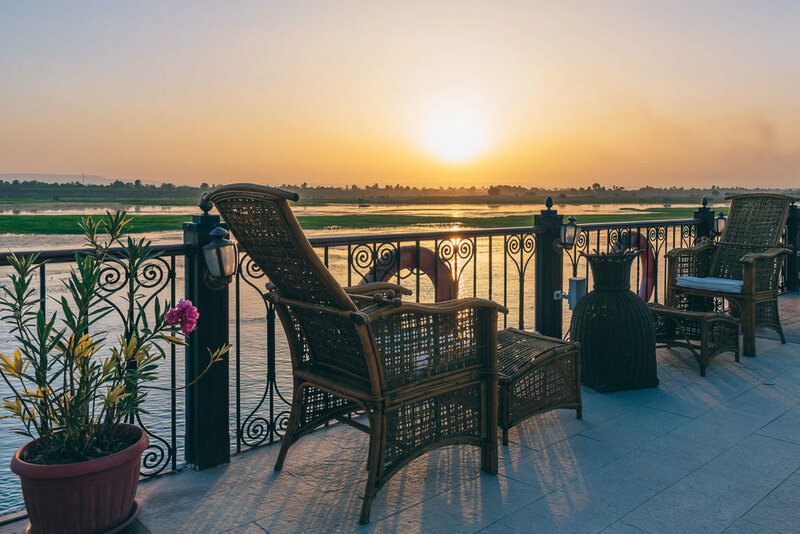 With the arrival of the mass tourism in Egypt, Philæ has become one of the most popular destinations of the country attracting several thousands of visitors every day in high season. Back on the boat for a few hours direction Aswan to escape again for a walk, enjoying a coffee and watching an incredible sunset in Nubian villages. 7th and last day, but not least! I had to wake up in the middle of the night at 4am, direction Abu Simbel. 3 hours of driving but when you love, it doesn't count! What about Abu Simbel which has not been said, apart from falling in reverse to view these 2 incredible temples? !! Abu Simbel Temples are from the ancient Egypt, dug in the rock located in Southern Egypt, at the north of Lake Nasser on the Nile, at around 70 kilometers from the second cataract Nile. 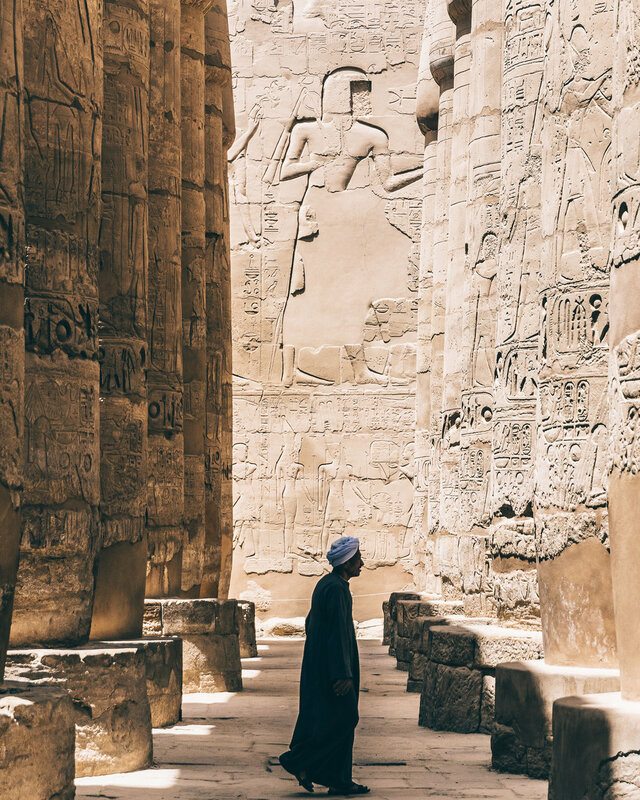 Built by the Pharaoh Ramses II (-1304 / -1213, nineteenth dynasty) to commemorate his win to the battle of Qadesh, they were intended to its worship as well as the Egyptians gods and his wife Néfertari. These monuments are classified world Heritage by UNESCO. 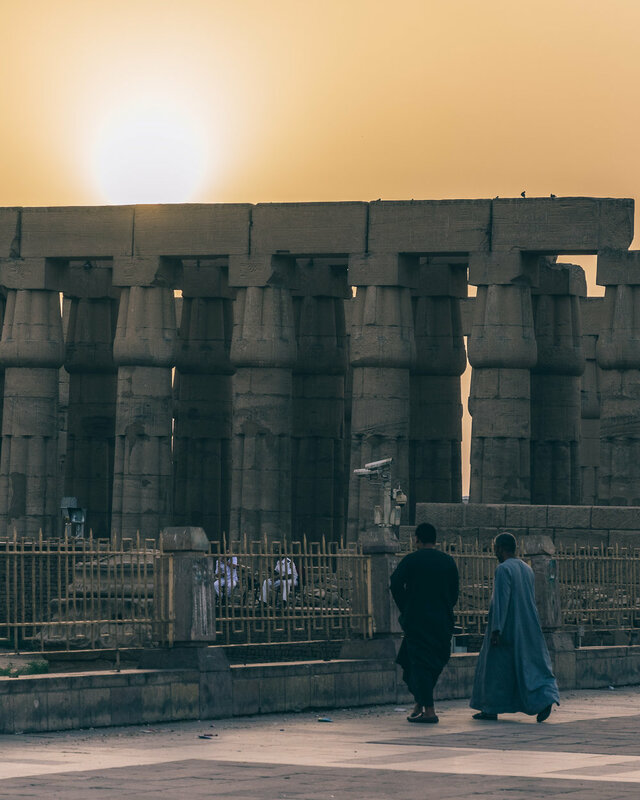 Ramses II launches the site from the beginning of his reign, it takes to resume the work of Pharaoh it serves as a model, Amenhotep III, who had build monumental sanctuaries in High Nubia. 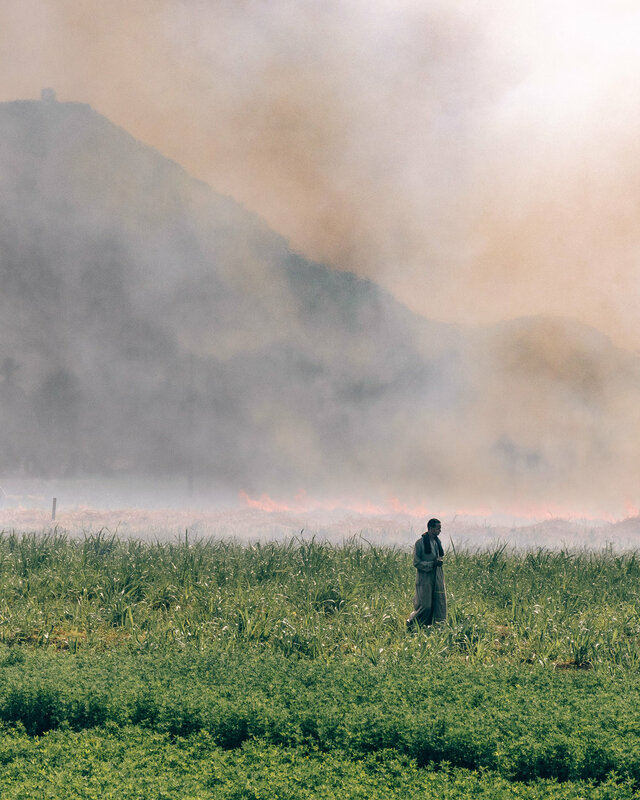 His wishes were to reconnect with the prosperity that prevailed under the reign of its predecessor, the temples must fill the gods, ensure thanks to the good flood cycle of the Nile for the food security. The Great Temple is dedicated to the worship of Amon, of Ra, of Ptah and Ramses II deified. It is carved in the sandstone of the rock for its most part, including the facade who consists of four colossal statues of Ramses II. 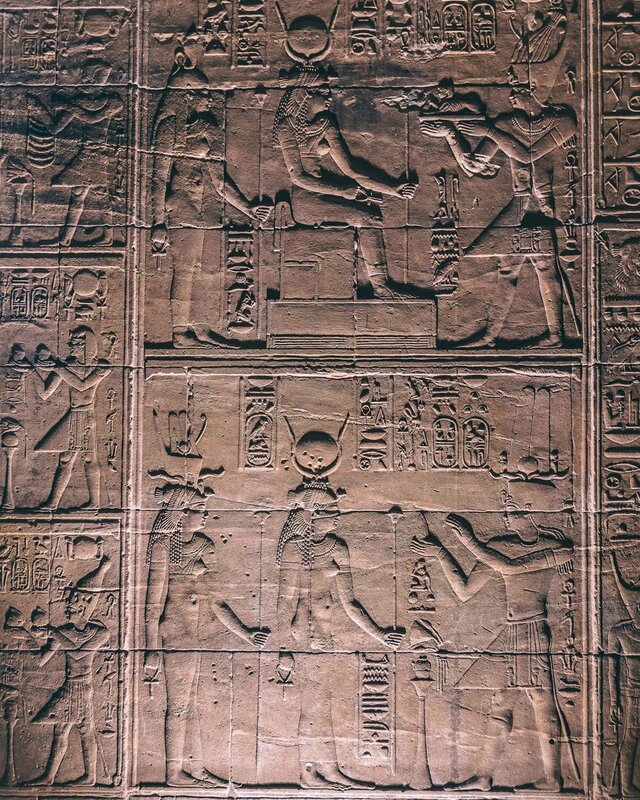 At sunrise, the rays illuminate the bottom of the sanctuary at the time of Pharaoh, three statues on four (4th being the God of Shadows) the 21 February and October 21, which are currently now the February 23, and October 23, since they move the temple. 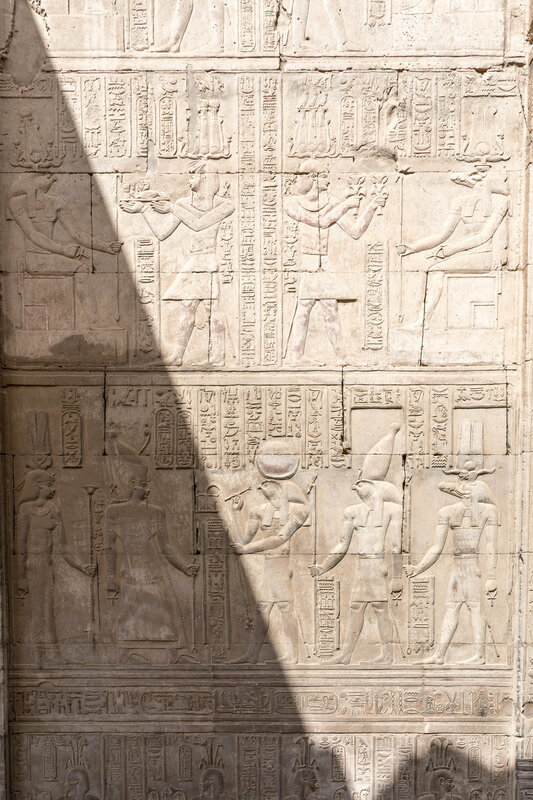 The Small Temple is dedicated to Nefertari deified under the features of Hathor. It is carved in the rock, including the facade composed of six colossale statues of Ramses II and Nefertari. Before finishing this article, I would like to thanks that guy, Cherif Adel! It was my guide for this week in Egypt but he's also my friend now. And he's much more than just a guide, he's also Egyptologist, and a really famous one. In France for example, radios or TV channels are calling for him every time there is a topic on Ancient Egypt! He's the best! This is it, it's already finished with a busy week in Egypt! But there is still so much to do so I really hope to back soon! 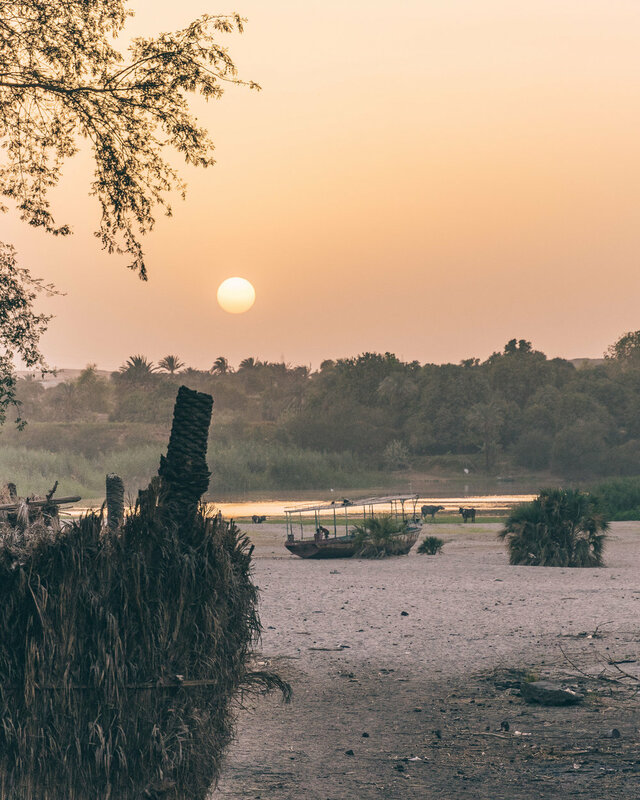 A last sunset for my last evening, from Aswan on the Nubia, what else! Thanks so much again to EgyptAir France, for this fabulous travel, a trip I will never forget for sure! Cairo is 18 km from Cairo International Airport (Cairo, Egypt). Right now, 61 airlines operate out of Cairo Intl Airport. 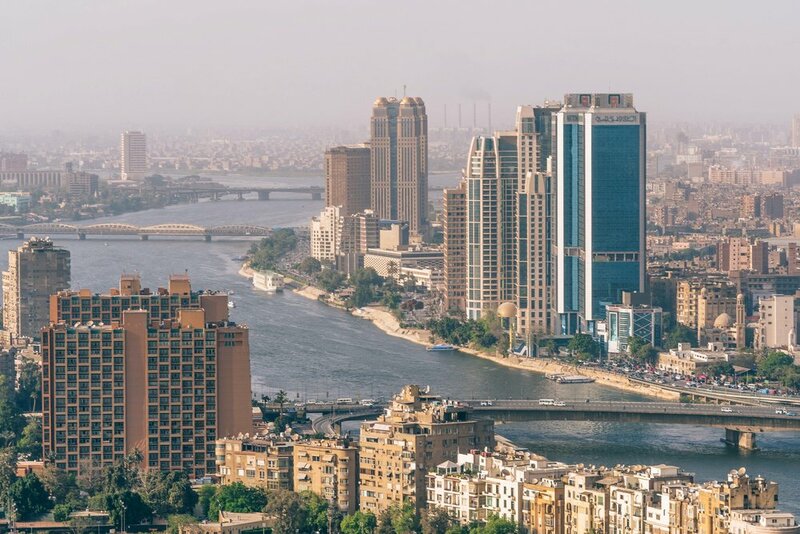 Cairo International Airport offers nonstop flights to 81 cities.